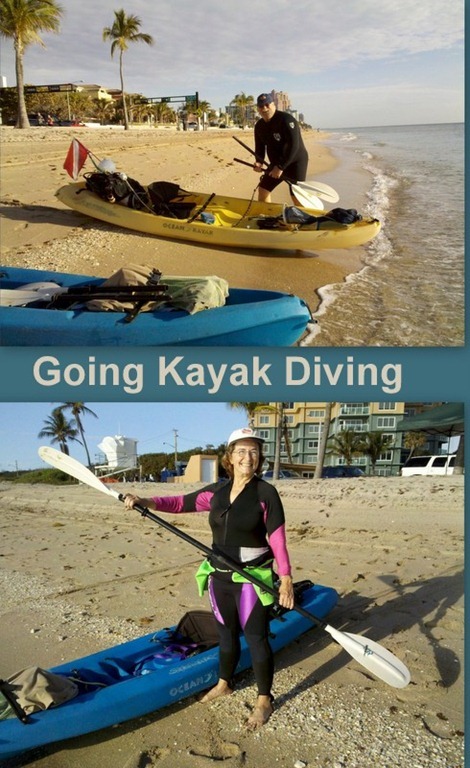 Although we’ve had a mild and beautiful winter here in Fort Lauderdale, it has also been quite breezy and that’s not conducive to paddling your kayak in the ocean. We’re getting ready to hit the road the first week of April, so we were thrilled when the weather – and the wind – cooperated to let us take advantage of the last day of lobster season. We got both our kayaks, dusted off the scuba gear, and met our Kayuba dive club at the beach last Sunday morning. It felt so good to get wet! There’s just nothing like paddling on the ocean and going scuba diving. Check out this video we made a few years back to see. Jim caught enough lobster for us to invite a few friends and have a nice surf and turf dinner. It’s not too late to register for our week-long immersion training in all things technology for Travelers! It’s going to be a small group with plenty of individual attention as you learn to use your computer, tablet, smartphones, cameras, and more. Updated to version 3.9, this book will step you thru the entire process. Import pictures from your camera to the computer, organize pictures into folders and albums using tags. The book explains all the different editing tools, including 3.9’s new side-by-side editing. Ever wonder whether or not you should save a picture after you edit it? All that is explained in simple language. Kindle price is $9.95 – instant download. Last month we wrote an article about Public Wi-Fi being unsecure and focused on the security of your data that is being sent out from your computer. The other issue in using Public Wi-Fi is unwanted guests coming INTO your computer. 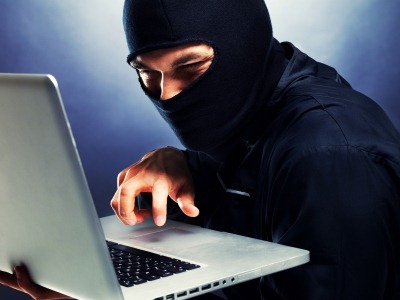 This article reviews ways to keep your computer safe from intruders. First of all – What is the Timeline? It’s the new layout on your Facebook Profile. Realize that your Profile is not your home page. The Home Page is your News Feed – the place where all the news from your friends shows up. Your profile is just about you. About a year ago, someone in our audience asked us to explain the TV ads for Microsoft where the people kept murmuring something about ‘To the Cloud.’ We explained that ‘The Cloud’ was just a new marketing term for the Internet – that’s true, but it has come to mean something more personal than that. 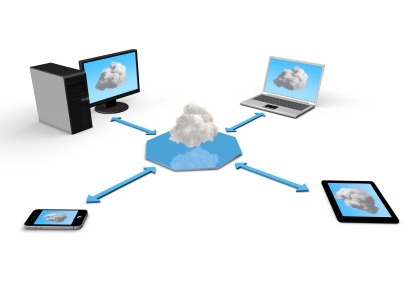 This article takes you thru a little bit of history then identifies the major players in Cloud Computing today and how it benefits you. Published by MrsGeek, in Newsletter. 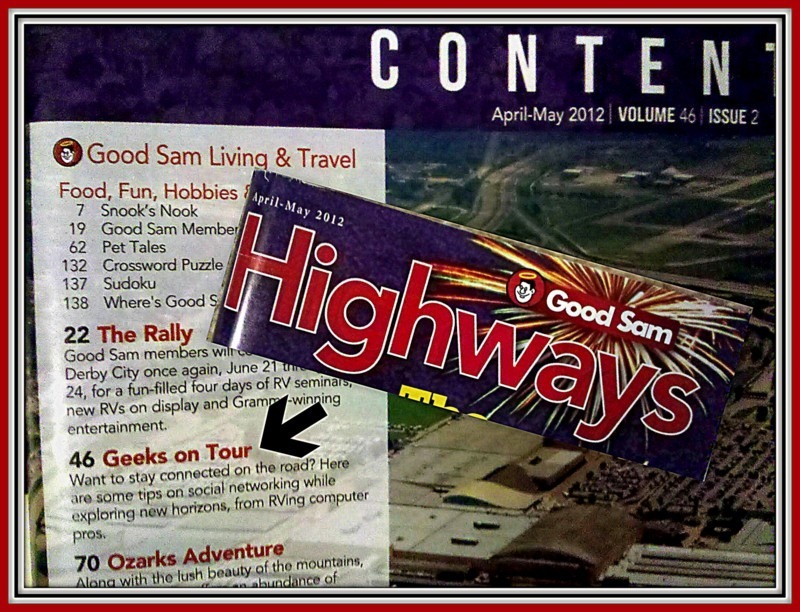 Tagged with Geeks on Tour, Highways Magazine, Kayak Diving, Techno-Geek Learning Rally.